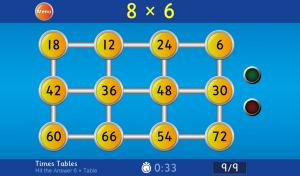 To support the learning of times tables at home, we have put links to some fun online games in this web post. In your spare time, you could play them, to sharpen up your mental maths. Simply click the links below. They are all tablet friendly and some are two-player games. Enjoy!